Coal and coal mining has had a long and storied history both here in the US and abroad. Coal has been continuously used as a source of heat and fuel since antiquity. The Romans excavated surface coal deposits as early as the 2nd century A.D. and there is even some evidence that cave people burned coal as a means of heat. In this country, the Hopi used coal for heat and cooking as far back as the 1300’s. Commercial coal mining began in the early 18th century on the Atlantic seaboard and eventually spread east into the Appalachians and across the west. Today, you will hear a story unlike anyother we have published! 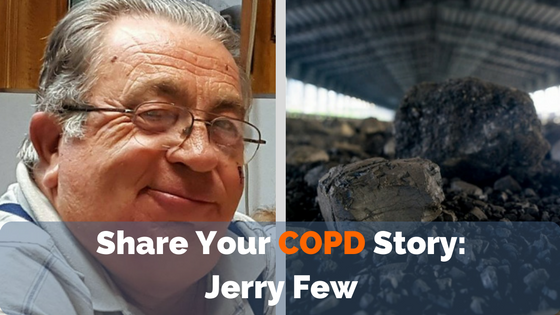 Jerry Few shares his story with both COPD and the black lung. Over the subsequent 200 year period, coal production rose from 2.54 million tons to approximately 224 million tons in 1900. It still generates more than half of our nation’s electricity. At the dawn of the Industrial Revolution the coal industry was booming. Coal burns hotter and cleaner than wood charcoal and was used primarily for fueling steam engines in ships and trains, as well as machines in factories all across the country. 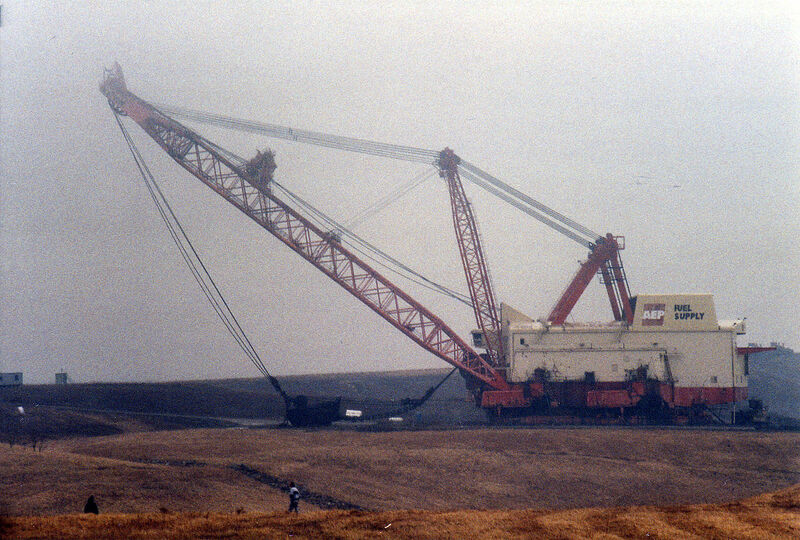 This coal was being mined by an estimated 750,000 coal miners. Men sometimes worked 14 – 16 hours per day, six days a week and were paid roughly 10 cents an hour or about $35 per month. Women and children who also worked alongside the miners were paid even less. Mining was dangerous work. They were in constant peril of cave-ins as well as exposure to toxic fumes. The greatest risk to miner’s health was the continuous inhalation of the coal dust and other particulates pervasive in the mines. With prolonged exposure to this hazard, many miners developed what is commonly known as Black Lung Disease or Miners Asthma. The technical term for this disease is pneumoconiosis, often referred to as coal workers pneumoconiosis or CWP. This disease was first reported in 1822 and at the time doctors thought that the disease was asthma related. Over time researchers discovered that miners who complained of breathing difficulty actually had a blackening of the lung tissue caused by prolonged exposure to airborne mineral dusts. In 1831 they coined the term Black Lung Disease. Mine workers were often living in company houses and deeply in debt with the mine companies and company run stores, so they had very little leverage to demand better working conditions. In 1951 an explosion at the New Orient Mine in West Frankfurt, Illinois killed 111 miners. In response, President Truman signed the Federal Coal Mine Safety Act into law in 1952. This law was largely to require ventilation to prevent explosions but included a provision that required mine walls be dusted with limestone to cut down on coal dust levels. In 1969, the Federal Coal Mine Health and Safety Act was signed into law by Richard Nixon. This expanded upon the health standards of the original act and improved safety standards. It also made regular inspections compulsory and established monetary penalties for all violations. If those violations were willful, criminal penalties could be imposed. This act also provided compensation for miners who were permanently disabled by Black Lung disease. It is estimated that as of 1968, Black Lung disease had either directly caused, or contributed to the death of 76,000 coal miners. Black lung disease, though still present, grew less prevalent over time. In the days after 9-11, when our economy was struggling, several things occurred that changed the coal industry and increased health and safety risks for mine workers. The war with Iraq was taxing our existing energy reserves as the US tried to lessen its dependency on foreign oil. With the collapse of Enron, oil and gas prices were soaring. The gulf coast produces nearly 40% of the nation’s natural gas and refines approximately 30% of our oil. The devastation of Hurricane Katrina significantly hampered energy production in this area putting further strain on reserves. Exports were also increasing because the dollar was in a relatively weak state. All of this made natural gas and oil much less financially feasible than coal and as a result, demand for coal expanded exponentially. 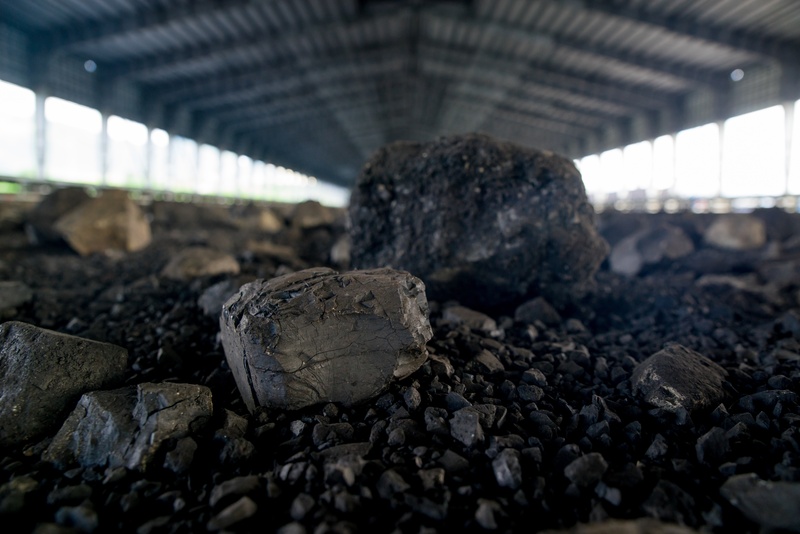 In 2005 the U.S. set a new coal production record, producing 1.13 billion tons of coal. Increased demand beginning in 2003 caused prices to double by 2005 and coal production was at its highest rate since the 1970’s. Coal companies had long complained that the strict safety standards put forth by the Mine Safety and Health Administration (MSHA), impeded production. In order to boost production yields, the government elected to relax safety standards and switch to a more self-monitoring and voluntary compliance mode of operation. One of the deregulation aspects that had the biggest impact on miner’s susceptibility to black lung disease is that a rule that has stood since 1969 that required coal transport shafts and ventilation shafts to be separate was reversed. High velocity fans blew air in across conveyor belts carrying coal out of the mine driving dust back into the areas where miners were working. Many people believe that black lung has been eradicated and is a relic of darker, Dickensian days in early industrialized America, but nothing could be further from the truth. 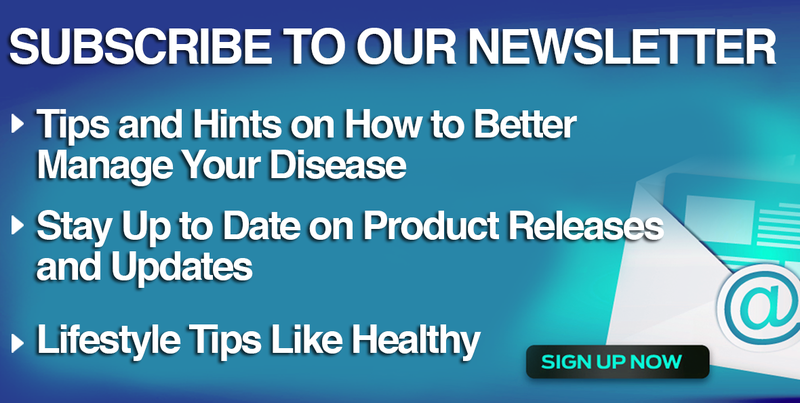 As a direct result of relaxed health standards, doctors have found that this disease is hitting people at a younger age and with increasing severity. Doctors in coal mining regions in West Virginia, Ohio and Pennsylvania have reported finding the disease in miners as young as their late-20s. This is especially tragic because this disease is 100% preventable with proper precautions. Masks, proper mine ventilation, and regular rotation of workers to less dusty areas, can bring risk of contracting Black Lung disease much lower. Through government programs, workers who have already contracted the disease can apply for monetary compensation that is paid for by the mines themselves. Unfortunately, this compensation has been extremely hard to get. Miners who are unable to work, find themselves forced to litigate with coal companies who have unlimited financial resources and a somewhat questionable relationship with the government offices who are supposed to be regulating them. Miners seeking benefits were forced to go through the Black Lung Unit at Johns Hopkins even though their own doctors had already diagnosed them with the disease. For this service Johns Hopkins was paid millions of dollars. Dr. Paul Wheeler was the head of Pneumoconiosis Department and responsible for reviewing x-rays of workers seeking benefits. A joint investigation of ABC News and The Center for Public Integrity found that in the 1573 cases that Dr. Wheeler reviewed, he found 0 people with black lung disease thus disallowing any claim of benefits. As a result of this expose, John’s Hopkins closed down their Black Lung Unit and Senator Jay Rockefeller introduced the Black Lung Health Improvement act of 2013. This improvement act seeks to restore fairness to the Black Lung system to provide resources to miners to help them win claims against coal companies. Miners now have greater access to medical evidence and assistance in securing legal representation. It also provides training for government officials who are responsible for reviewing claims and evidence. More importantly, safety standards are being re-examined to reduce miner’s exposure to dangerous coal dust to decrease their chances of developing the disease to begin with. The current Black Lung Program is far from perfect but it is an improvement over what was available over the past couple of decades. It is an extremely long and complicated process but miners can now receive disability compensation and if black lung causes or contributes to their death, survivor benefits will be given to their families. The program has succeeded in large part to the miners themselves who have fought both the government and coal companies for what was rightly theirs. One such fighter is Jerry Few. He is a former equipment mechanic and welder at the Central Ohio Coal Company located in the Cumberland, Ohio area. This coal company was responsible for supplying the coal to fuel the Muskingum River Power Plant at Relief, Ohio. Jerry worked on keeping all the companies machines in good working order, including the Big Muskie, Central Ohio Coal Company’s drag line. The Big Muskie stood nearly 22 stories tall and 2 Greyhound busses could fit in its bucket. Through his work in the mines and in the timber industry Jerry contracted black lung disease as well as COPD. 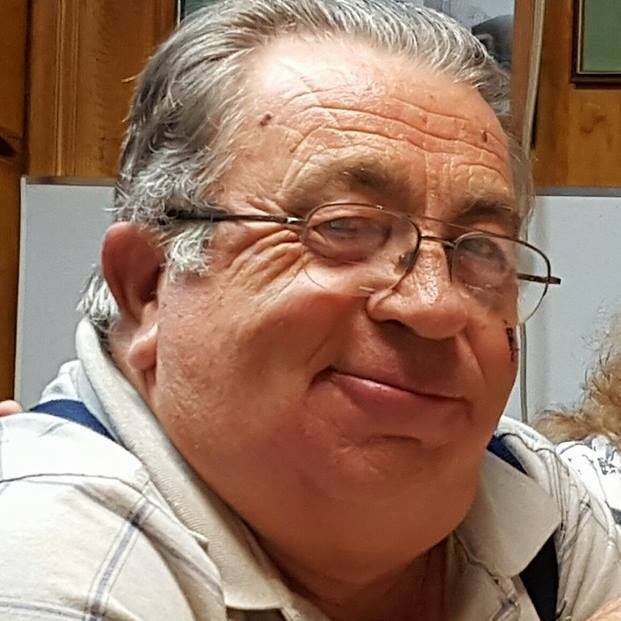 "I am a 69 year old man who has a wife and four adult children and 6 grandchildren. I have always been extremely active. I grew up on a farm and knew how to work. I usually worked 2, and sometimes 3 jobs, 7 days a week until about age 58 or 60. I am a retired coal miner, timber business operator, welding shop owner, heavy equipment operator, and welder. In 2008 I had a mild heart attack. I live in southeast Ohio and I do not have as much faith in our local hospitals for heart health so I started going to Cleveland Clinic in Cleveland where they are number one in the nation. This is a 4 hour drive from my home. These people did extensive testing on me and they found an aortic aneurism that was not quite large enough to be dangerous and the aortic valve was calcifying. Neither of these conditions required immediate attention so they set me up to be monitored by my family doctor and I went to Cleveland every six months for a day’s worth of testing. I slowed down for a while and then I went back to work full-time. I started noticing just a bit of shortness of breath but Cleveland Clinic tested my lungs and said that all of those years of welding had been the major cause of my heart problems and my lungs were not all that great. They also detected calcified places in my lungs from asbestos. Altogether I welded for 50 years and started smoking non filter cigarettes at 14 and did not quit till 68. I assumed that these things were leading to bad things, but I did not realize how bad. About three years ago I noticed that I was getting tired a little bit sooner than I used to and I could not walk as far without a break. I attributed this to age and my failing heart. About a year ago I really had gone downhill. Again I thought the same thing was going on but I went to Cleveland and they said I needed a lung transplant. I said no, let some younger person have that who can have several years from it. I got so bad in May that I knew something had to be done and they said it was time for the heart valve so I started preparing for that and they discovered that most of my teeth were going bad underneath and infection had set in so they pulled 14 of my teeth. By the time I was ready for the heart operation, I had really gotten bad. They replaced the aortic valve, did a bypass, and put a clip on the bottom of my heart to eliminate some clots and a pacemaker. I was in I.C.U. for 29 days. I then stepped down and then went to a rehab. They were not very proficient at anything and I went to the ER 3 times from there and the third time I had C diff and MRSA infections which brought about more suffering. I left there and went to a top of the line rehab for about 4 weeks. I had a feeding tube in my nose for about 3 months and they took it out but I could only eat crushed ice by mouth and drink thickened liquids. After they took the tube out I had to eat select pureed foods plus liquid nutrition thru the tube plus crushed ice. At that time my voice quit working at Cleveland and they aren't sure what kind of damage was done to my throat. I was home for a couple weeks and I had respiratory failure. They almost weren't able to bring me back to life. I came to about 4 days later with a feeding tube in my stomach and a tracheostomy and couldn't speak. I am still on pureed food and thickened liquids and I carry pen and paper to write with. This trach has given me nothing but trouble. It produces huge amounts of mucous and I have had to go to the ER twice with a mucous plug. About two years ago I received a letter from UMWA [United Mine Workers Association] stating they were giving screenings for black lung. I took the screening and they say that I have black lung, COPD, acute bronchitis and emphysema. I am waiting on a hearing which is against the coal companies for compensation. Less than 14% of us coal miners with black lung ever get compensation. I just thought of something that I did not include that has great bearing on my, and others of my age group. When we started welding and smoking, we were not aware of the hazards of what we were doing. Smoking was widely advertised and accepted as normal. We did not have masks and clean air to breathe while welding and torch cutting. Torch cutting creates many harmful fumes such as coal tar paint fumes which were widely used around coal mines and chemical plants. When vaporized they give off thousands of chemical compounds, many of which are carcinogens. The welding process gives off many compound fumes. One comes from E-9018 welding rod which contains 2 1/2% chrome. This is a heavy metal. I and many of my fellow workers used that rod with no mask for years and now anyone using it must wear a clean air mask and have a blood test weekly. We were using a type of welding rod that was unfamiliar to us and I found and cut off of a rod container and kept to this day that is a skull and crossbones and it states breathing of these fumes will cause irreversible nerve damage, but no one told us about that either. No wonder we cannot breathe. Am I bitter? Hell yes, for me and everyone else that is affected. Always note the faces of coal miners coming out of the mines. They are greasy, black from one shift. Multiply this times a lifetime of doing this and think of the lungs! I cut timber for 50 years and I was bent over a chainsaw for thousands of hours, breathing chain saw smoke. I ran my loaders, dozers, skidders, and trucks along with those in the mine for thousands of hours, breathing diesel smoke. I have been on oxygen for quite a while and I gradually worked up to full time but I started out just at night and when I might push too hard and need a bit and slowly increased my usage. I got a pulse concentrator and I only ran it on 3. It was a bit inconvenient but I got by. After I got the tracheostomy I was elevated on my requirements for oxygen to 8 LPM and they don't make a steady flow that will run on 8 so I had to go to tanks and that is when I really started being frustrated. It is a major chore for me to handle the E tanks and if I go to a local destination, I have to have at least 3 tanks. I had to go to Nashville in May and I had a suction machine, a vapor generator and a stationary concentrator, plus I took tanks. I have to do this any time I stay overnight. I have to sleep semi-reclined and can only sleep 1 to 1-1/2 hours at a time because of tremendous amounts of mucous that has to be expelled. Many times the mucous gets very thick and I have to take breathing treatments to loosen it to get it out. I have to clean my inner trach cannula at least twice and usually more each day and replace it once. I spend at least 2 hrs. per day cleaning and sanitizing my equipment. ; I have a hose connected to my mask and that is the extent of my travel. I always get one and sometimes two deliveries of oxygen every week. In essence, COPD and black lung control my life and pretty much what I do." Despite these monumental health challenges Jerry continues to fight to help the black lung program succeed. He helped set up the Black Lung Program in Tennessee where he currently serves as spokesperson for the Coal Miner Black Lung Program. The program is housed in Bon Aqua Tennessee on Johnny Cash’s farm. 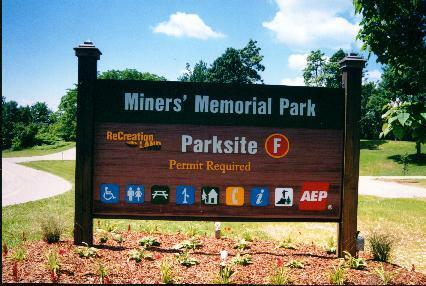 He has also supported efforts to create Miner’s Memorial Park. This memorial is a monument dedicated to the men and women of the Central Ohio Coal Company. You can even see three of the huge chain links from the bucket on The Big Muskie that Jerry has donated. Jerry has inspired many and there is even a poem written about him. Thanks so much for sharing your story Jerry!